The Doggie Brigade touches lives all over the U.S. 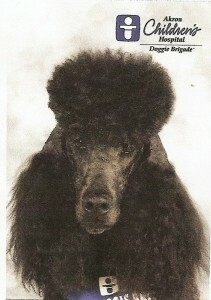 I joined Akron Children’s Doggie Brigade with my Standard Poodle Beau in 1994, after they saved my grandson’s life. He suffered from Shaken Baby Syndrome.